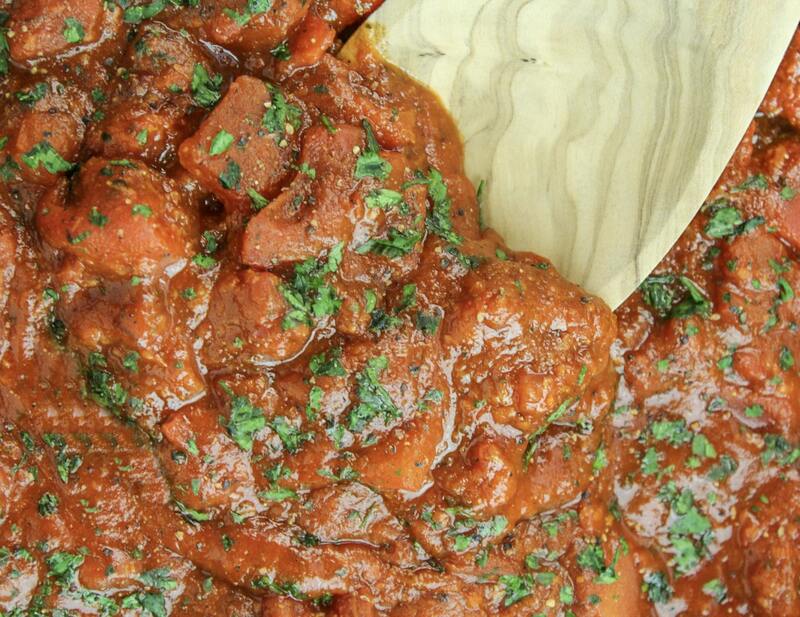 Everybody needs a good Marinara sauce recipe. 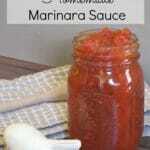 This recipe for Fifteen Minute Marinara Sauce is perfect for pasta, pizza or as a dipping sauce for garlic bread. It’s so good you’ll never buy that stuff in a jar again, trust me! I updated this post with new pictures, so if you’ve come here from Pinterest don’t worry it’s still the same recipe just better photography. I love pasta. When I say love I mean that feel it in your toes, over the moon, and slightly obsessed love. I have a complete adoration for all types of pasta dishes. 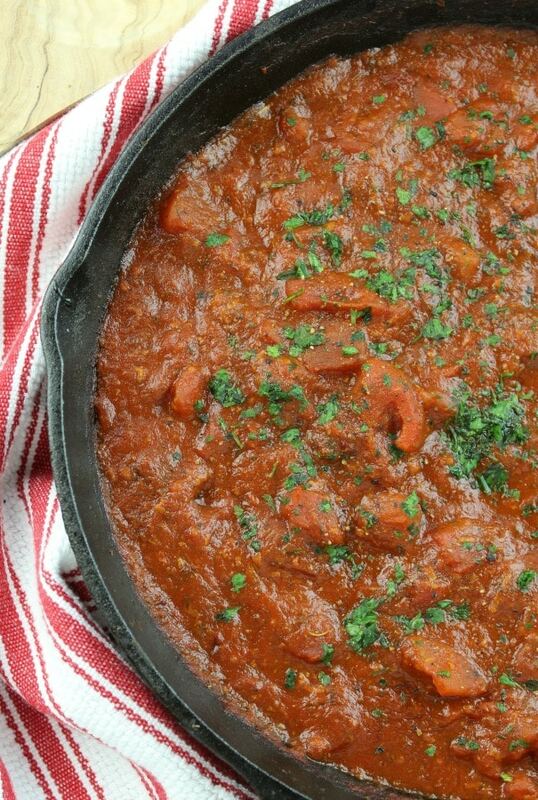 Because I love pasta so much I knew i needed a simple marinara sauce recipe. This one I’m sharing today is easy and can be made with ingredients you probably already have in your pantry. I mean just look at all this wonder tomato-y (yep I totally just made up that word!) goodness! I’m not kidding this stuff is absolute perfection! It’s so good you’ll never believe how fast it comes together! To make this marinara sauce the cost about the same as a jar of name brand jarred sauce from the store. The best part? It only takes 15 minutes to make. I like to put the ingredients for the sauce together and then put on the pasta to boil. That way they are done about the same time. Sometimes if I want to give our pasta a little kick I add a pinch of red pepper flakes. We like a little spice from time to time. Because well as they say variety is the spice of life. Before I finish up this post I’d like to give you a quick tip for helping any sauce stick to the pasta. Before you drain the pasta in a colander collect 1/4 cup of the water from the pot and set it aside. Then, when when you return the pasta to the pot add that water back in and give it stir. The starch in the water will help your sauce to cling to the noodles giving your a perfect pasta every time. 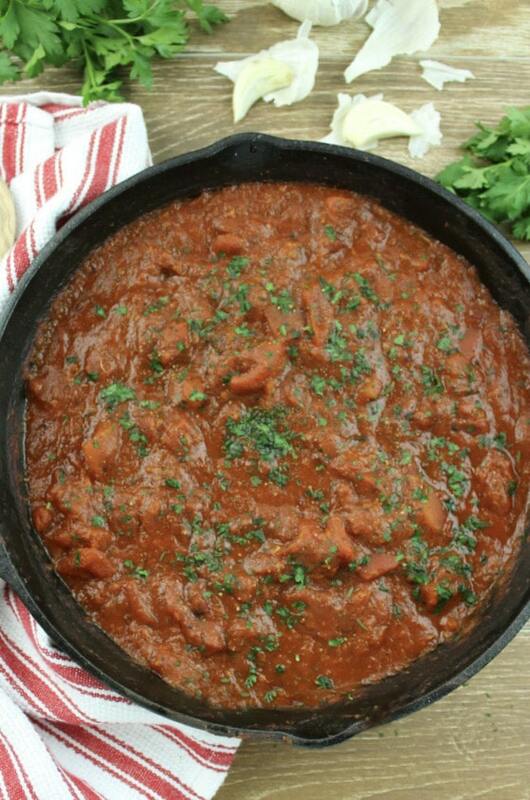 This sauce is a little chunky if you prefer a smoother sauce pout the can of diced tomatoes in the food processor or blender and pulse until desired consistency. In a large skillet warm the EVOO over medium heat and turn until bottom of skillet is coated.